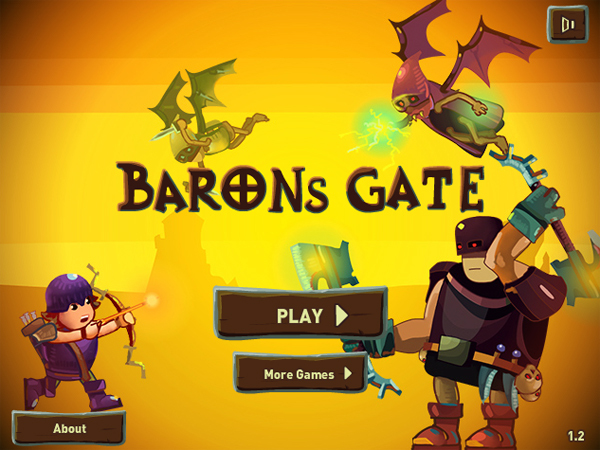 Anyway, Baron’s Gate is a game about a tiny little warrior that must fight his way through hordes of monsters on his quest to do what gaming protagonists tend to do. Instead of being the usual sword wielding, brawny man-child that stars in similar games, our hero is equipped with a bow and arrows. This allows him to safely shoot enemies from a distance as opposed to stupidly rushing headlong into battle like an imbecile. Apparently, he’s much smarter than conventional heroes. I am poisoned, though I’d prefer that my opponent was instead. The game is played from a side-scrolling perspective which is one of many perspectives I enjoy. 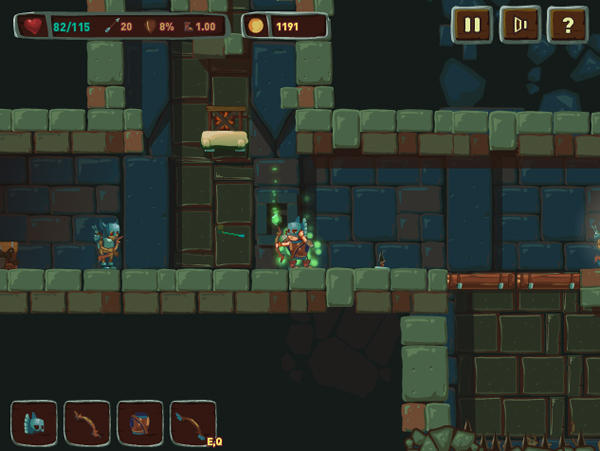 Controls are pretty standard with you moving, jumping and opening doors/chests with WASD and aiming the bow with your mouse. Holding the mouse button allows you to pull the string back farther as a taut string equates to a far flying arrow. It can also result in bloody finger trips, so you gotta be careful. For the most part, it plays quite well though the movement controls aren’t quite as fluid as they could be. That being said, hitting enemies with the bow feels really good as the impact feels pretty beefy. I realize that archery is more about finesse, but there’s nothing wrong with putting a little extra juice into it. *Don’t worry, Justin assured me that my job is not on the cutting room floor. He said it’d be too difficult to find someone with the kind of street smarts I have.